Growing up in a family of Christian Missionaries serving in remote West Kalimantan churches of Indonesia, it came as no surprise when John first felt the call to serve God through aviation at the tender age of 9. Whilst completing his flight student candidate assessment for MAF US, he met Helena at a young adults’ church gathering, who was completing her midwifery training after moving from her childhood home in North Sumatera. 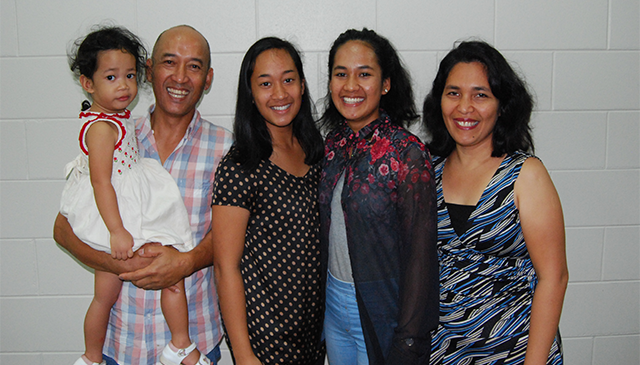 After marrying in 1998, the birth of Rebecca, and 13 years’ service with MAF US, John and family were sent to (then) Bible College of Victoria in 2002, where John gained more qualifications in his engineering and flight streams and Deborah was also born. In 2008, John began service with MAF AU in Mareeba, Far North Queensland before the family was transferred to Arnhem Land in 2009, fulfilling John’s dream of serving the Lord through Aviation. In 2014, they were blessed with Raquel’s birth alongside completion of 6 years’ service in Arnhem Land. Today, the Hermanus family have returned to service in the MAF Mareeba base in order to facilitate their daughters’ further education as well as continuing pursuit of the call upon their lives.